Want to get qualified as a personal trainer? Get ahead of the competition with an industry-leading Diploma of Fitness Coaching, only from Sage Institute of Fitness, Brisbane. Call 1300 664 664. Want to become a personal trainer? Break away from the pack with a unique, ground-breaking Diploma of Fitness Coaching from Sage Institute of Fitness, Brisbane. Can you motivate and inspire people to stretch beyond their boundaries and reach for ever greater heights to achieve their fitness goals? Do you love to have fun while you work out? 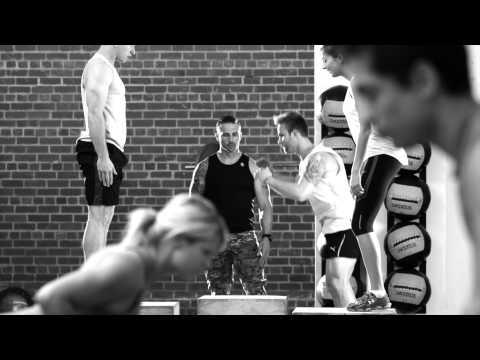 Do you want to learn how to run a professional, client-focussed fitness business that delivers real results? If you’re ready to become a new breed of personal trainer for a new era in personal training, then you need to call Sage Institute of Fitness right now on 1300 664 664. Sage is a nationally recognised Registered Training Organisation (RTO ID 110070 ) and has an unrivalled reputation across Australia for the outstanding quality of its graduates. Now you have a huge opportunity to transform your career by enrolling in a ground-breaking personal training course in Brisbane from the Sage Institute of Fitness. Sage’s curriculum for personal training has changed the industry forever. The Diploma of Fitness Coaching (10067NAT) is only available from Sage – you cannot get this qualification from any other training provider. We have worked with fitness experts, academics and Australia’s leading practitioners to understand the changing needs of a highly dynamic, fast-growing industry. Our personal training courses will prepare you better than any other for an exciting, successful, rewarding career as a professional fitness instructor. Learn the very techniques that are hot in demand within the fitness industry – Dynamic 3D movement, multiplaner training, strength through space, group training and more. Not only you will be superbly trained for life in the real world, you’ll also learn business skills and an in-depth understanding of sports nutrition. Train with the best in the business! Our fitness instructors are among the best in Australia and will empower you with all the tools, knowledge and confidence you need to prepare you for an instant start to your new career as a professional personal trainer. Our teaching methodologies are first class and delivered in a fun, supportive, inclusive environment. We will work with you to ensure that everybody gets it – nobody will be left behind, irrespective of educational background, prior qualifications or training. Study to become a personal trainer at a time that fits with your schedule: our Brisbane fitness courses are conducted full-time during the day, or part-time in the evening and at weekends, whatever works for your busy lifestyle. Get VET-FEE HELP for your Diploma of Fitness – study now and pay later. Call 1300 664 664 now to find out if you’re eligible. Get real practical experience as a personal trainer through Sage’s exclusive Career Partner Network. Our dedicated Career Agents are on the road every day seeking out fantastic new opportunities to expand our network with new gyms, personal trainers and studios. It’s superb preparation for you when you transition from student to professional, and you can do it with the confidence of knowing you have a over 120 hours of practical experience under your belt before you do. Why wait when you can start now? We have regular in-takes throughout the year – call 1300 664 664 now to find out when the next course beings. Don’t be mediocre, be exceptional! Experience the new ground-breaking Diploma of Fitness Coaching (10067NAT) from Sage Institute of Fitness in Brisbane and study to become a personal trainer on a schedule that suits you. Call our expert Career Advisors now on 1300 664 664 to discuss which personal training course would suit you best.